Thanksgiving is behind us now and so we’re officially into Christmas spirit full swing. But with all the holiday festivities, eating, cooking and baking, the weight gain happens fast and the physical activity is last on our mind. Besides, there are a hundred different celebrations taking place, family gatherings, and traveling, so taking time for exercise is often last on our to do list. But with The New Year approaching fast, there are New Year’s Resolutions. Some of the more common resolutions are getting fit, healthy, and into shape. Sure, we might not want to start right away. We have the festive season ahead and chances are that our calendars will already be packed to the brim with extra work, social commitments, and other responsibilities. We are also probably going to want to indulge in a few pies and other Christmas treats along the way. But it’s a good idea to have a plan ready so that we can implement a new regime into our life when the first of January comes around. Here are just a few steps that you can take to make sure you’re ready to get started as soon as possible. 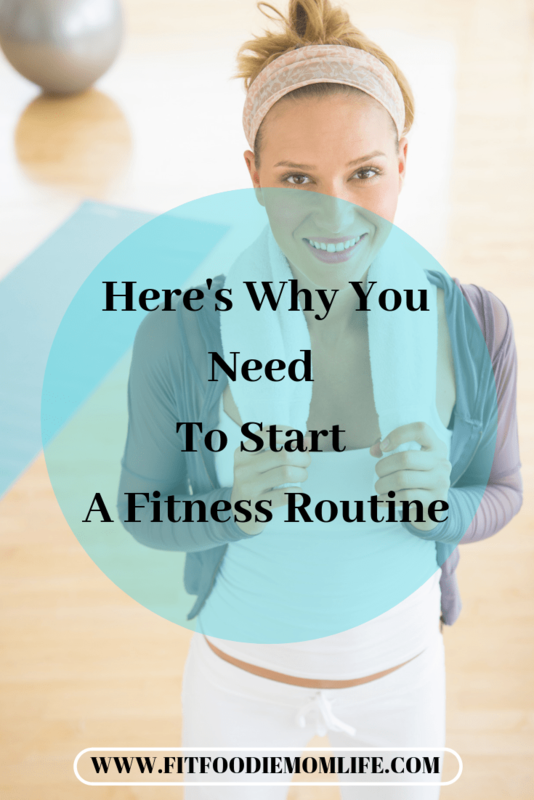 Perhaps the easiest way to incorporate exercise into your routine is to join a gym. I joined my local YMCA this past summer. Best decision ever. I not only get in a peaceful workout time, but I also get two hour childcare for free. I can workout without worrying about my children. It also means that you will be supervised while exercising. Plus you will have all sorts of classes and equipment available. By deciding which gym you want to join in advance, you can sign up as soon as you are ready. The holidays tend to bring great deals! Many of us jump into the gym without a solid plan. It’s a good idea to come up with a workout plan, so you can have a focus. This will allow you to head into the gym with a preset plan. Take a look at this toning workout plan for women. It will provide you with a day by day list of exercises, including how many reps, what distance, or what duration of each type exercise you should carry out. This is perfect for us busy moms since we don’t have extra time to search for a workout daily. If you are worried that you won’t stick to your plan, you can always hire a personal trainer. You can book in for regular sessions with a professional, meaning that you have an appointment that you need to turn up to. This gives you accountability and you won’t be able to think “I’m going to skip the gym today.” Your personal trainer will also be able to push you to do a little extra work, monitor and record progress, and ensure that you are carrying exercises out correctly. Plus, it gives you something to do without the kids. A little bit of self-care. Sure, January may seem relatively far away now. But it will be here before you know it. It’s best to get into a fitness routine sooner, rather than later.